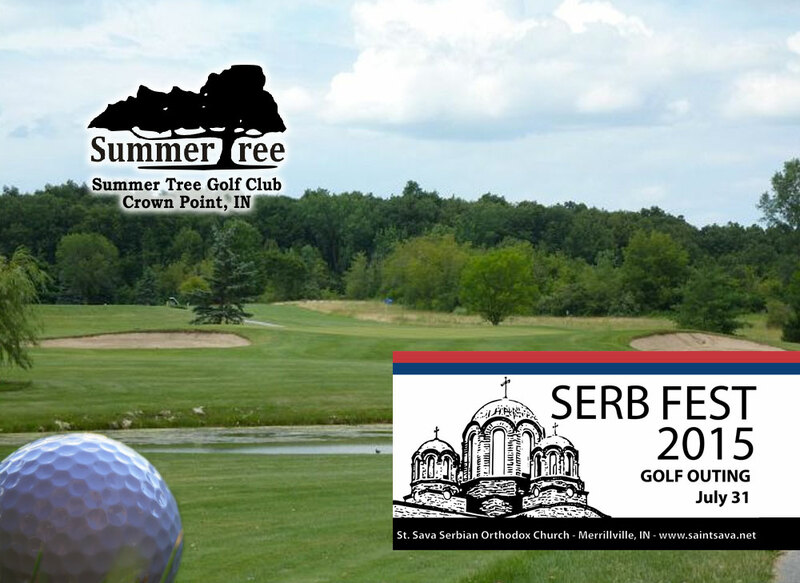 Tuesday, July 28 is the deadline to register your foursome or individually for the St. Sava Serb Fest Golf Outing taking place Friday, July 31 at Summer Tree Golf Club in Crown Point, IN. Questions or additional information is available by calling St. Sava Church Office at 219-736-9191. We are asking you, your business, or your organization to sponsor one or more holes at this year’s St. Sava Serb Fest Golf Outing. The Outing kicks-off the first day of the three day St. Sava Serb Fest which runs Friday thru Sunday – July 31, August 1 & 2. Your sponsorship name will be placed on a banner and prominently displayed at the Serb Fest which is attended by thousands over the three days of the event. St. Sava’s annual Serb Fest is recognized as one of the most popular summer events in Northwest Indiana, featuring spit roasted lamb, roasted pig, sarma (stuffed cabbage), cevaps, salads, home baked desserts, music, drinks, dance, and three days of fun! Thank you for your sponsorship and we look forward to seeing you at this year’s St. Sava Serb Fest celebration! St. Sava Church is asking members, family, and friends to consider offering monetary donations to help cover the costs of food and beverages for our special annual Serb Fest. Download the “Serb Fest 2015 Donation Form” now to identify the many donation options available. These donations help defray the costs of the festival and contribute to the success of the greater St. Sava community. You may donate for specific costs of items such as lamb, pig, cevaps, kegs of beer, liquor, water, pop, and other general donations. Suggested donations for items are available on the downloadable form, which may be printed and mailed to the St. Sava Church Office or delivered to the office Monday through Friday 9:00 a.m. to 3:00 p.m.
For questions or more information, please call the Church Office at 219-736-9191. 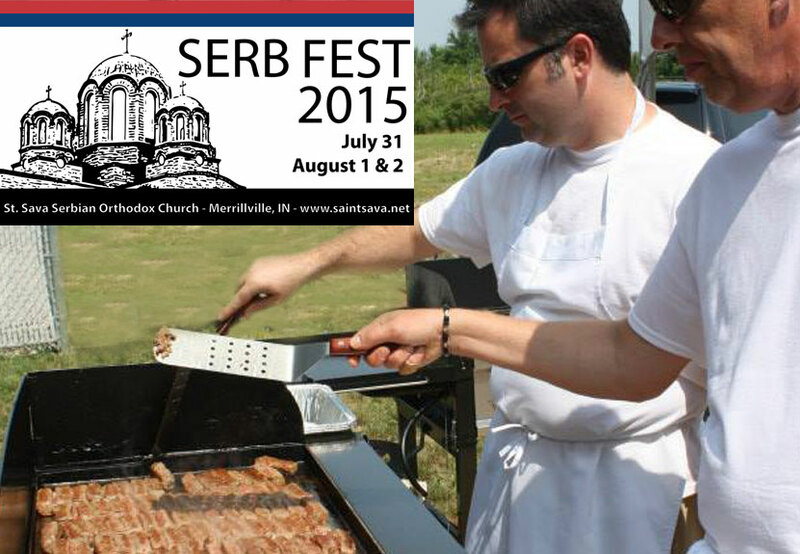 Learn more about St. Sava Serb Fest 2015 by clicking www.serbfest.org and see the complete schedule of events now online at the Serb Fest website.